Looking for the latest tech headlines on the most important stories of the day? We've got them right here for you, courtesy of our friends and TechRadar: read on to find out about upcoming devices from Fitbit, Apple and OnePlus, and a phone network for the Moon. 1. Could this be the new Fitbit Blaze? We know that Fitbit wants to focus on smartwatches during the second half of 2018, and thanks to images that just leaked out onto the web, we've got some idea of what the follow-up to the existing Fitbit Blaze might look like. The images picked up by Wareable show a square face, a metal frame, and an altogether more stylish design than the one sported by the current generation. Extra waterproofing is reportedly being added too. If you ever make it up to the Moon, be assured that you'll get a good mobile signal while you're there – Vodafone and Nokia have announced plans to set a 4G network set up on the lunar surface, in order to help scientists while they work on the rock orbiting Earth. The mission to build lunar 4G is scheduled to start in 2019, with signals carried by both masts and orbiting rovers to ensure data can be transferred across the surface and back home. We've seen a few smartphones launch at Mobile World Congress in Barcelona this week, but there are plenty more flagships on the way during the rest of 2018, one of which is expected to be the OnePlus 6. Newly leaked photos of the upcoming phone show the Chinese company is adopting an iPhone X-style notch on the front of the device, which may or may not be concealing some face recognition camera tech to make logins easier. Self-driving cars are being tested all over the United States and elsewhere right now, but their use is strictly controlled by road authority regulations. 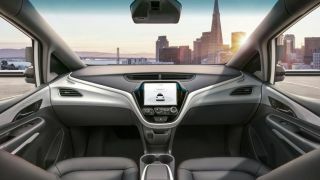 In California, the powers-that-be just relaxed one of the restrictions – autonomous vehicles can now head out on the roads without a human backup driver, as long as they've passed an extensive series of tests first, and are constantly being monitored remotely by a human operator. Not everyone loves the Touch Bar on the new MacBook Pros, but Apple is apparently planning to go even further with the screen tech – it wants to replace the whole keyboard with a second display that can offer keyboard functionality as well as a host of other configurations (like a digital sketch pad or a game controller). This is only a patent filing for now, so it might not come to pass, but it's an interesting insight into Apple's thinking.